So let me start by saying my background in growing. Its 0 the only thing I have ever grown is a pear tree in my backyard that I've never watered or done anything to apart from plant it so this should be a good grow for people to learn from and also a good place for me to get information on anything im doing wrong. I will be updating it every 3-7 days with pic's/temps and answering any questions people may have. 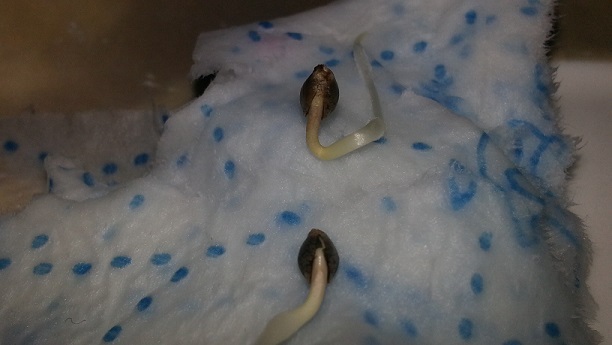 When doing the paper tissue method I didnt open it at all however after 2 days I did add a few drops of water where I could see the lump of the seed then on the 3rd day I opened it to see the long tails. 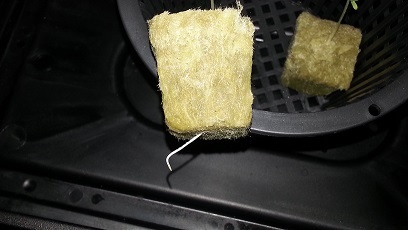 After this I added them to some rockwool cubes that had been sat in water for around 5mins (the ph was not checked but after checking the water now it would have been around 7.9ph-8.2ph) once placed in the rockwool I covered them with abit from the side like I had seen in youtube videos and then added them to my propagator. It had now been almost a week and I still didn't have my bubblers ready so I knew I had to pull my finger out and treat my lady's right. as they Had been growing so well for me . I knew at this point when I did a res change in 7days time i needed to do a check on the ppm before I added the Sensi Grow and to also get my ph much lower as it was still to high. Sorry for such a long first post and if i've mist something let me know and ill try to answer it or if you would like me to add a type of info or do a type of check just ask. I look forward to my next grow update in 3 days time. From today I will aim to veg for the next 5 weeks unless things get wild and they get to big for my scrog then they will move into the flower tent so we will see as time goes by. 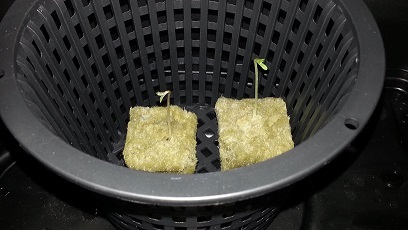 My goal is 5oz per plant I think its going to be hard for a first time grow but if i work hard and treat my lady's right they might do it in a scrog. You are going to need to get your pH lower for proper nutrient uptake. 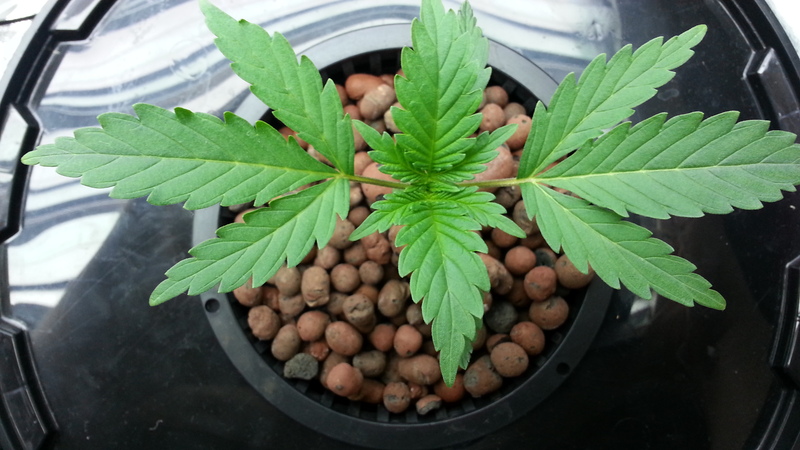 Hydro should be maintained between about 5.5 and 6.0 to insure that all nutrients are available tt he plant. I think that you will find that if your goal is 5 oz per plant that you are going to need a lot longer veg period than 5 weeks. You are almost at 3 weeks now. And when running a scrog, it will take weeks to fill the screen. Can you tell me how many inches 120 cm is? My metric is so bad (even though I realize how much better it is as a measurement system). Green Mojo. Ill be stoppen in and watchen yur girls. the ph i was going to keep around 6.5 but if 5.5 to 6.0 is better thats what ill go for on my next res change as for being at 3 weeks already i meant that ill be going for 5 weeks from the day of the post so it would be like 8 weeks in total . as some one has said 120cm is just under 4 feet. "no smart pots---i got the dumb ones"
Somewhere at MP we had a chart that showed nutrient uptake at differing pH levels for both soil and hydro. I will see if I can find a copy. Correct pH is critical with hydro, as is proper ppms. You are pushing your lumens some with a 400W in a 4 x 4 space--we usually recommend a minimum of 5000 lumens per sq ft for flowering. With a 400W you are only going to be getting a little over 3000 lumens. Most people use at least a 600W (or 2 600W) or a 1000W in a space that size. Not to discourage you, but I think that 5 oz per plant is going to be very difficult to pull off, so don't be disappointed if you fall short, especially since this is your first growing of anything (other than a pear tree). A 5 oz plant is a huge plant. I had a small scrog I did several years ago--about 4 sq ft with 300W HPS and I yielded a total of 5.5 oz with the 2 plants and I was very happy with that. Keep in mind that a larger space does not really translate to more yield. 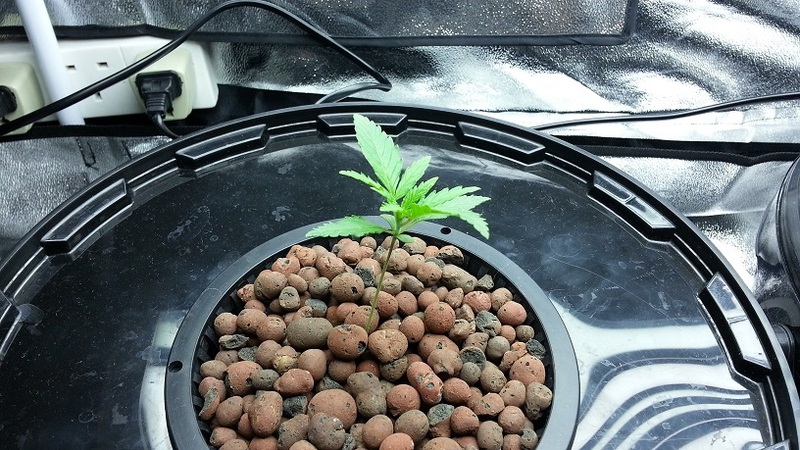 Yield is more a function of your lights and how dialed in your grow space is. With a 400W in a 4 x 4 space, you will get more stretch and probably lighter airier buds. I would like to encourage you to do some more studying up on DWC. Things like the correct pH is critical--if you had continued to run the pH at the levels you were, your plants would not have lasted much time at all. They would have been starving even though you were feeding them--the nutrients would simply not have been available to them. With hydro, mistakes are felt by the plants faster and harder. 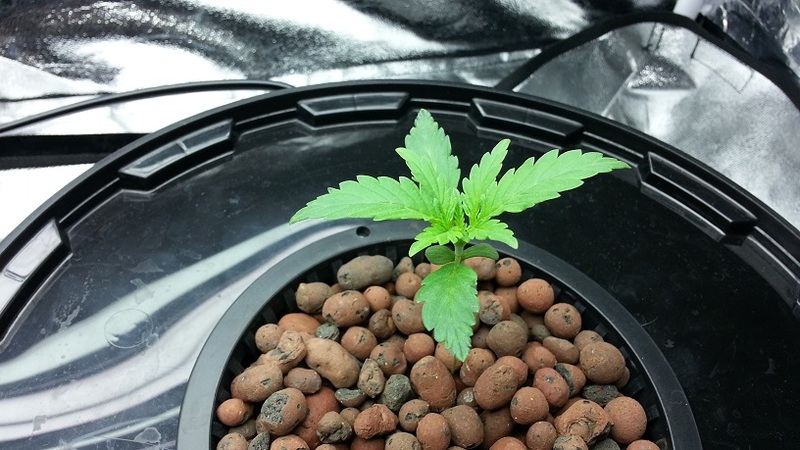 You can kill a plant overnight if the ppms are too high, if they run out of water, if the air pump fails, etc. 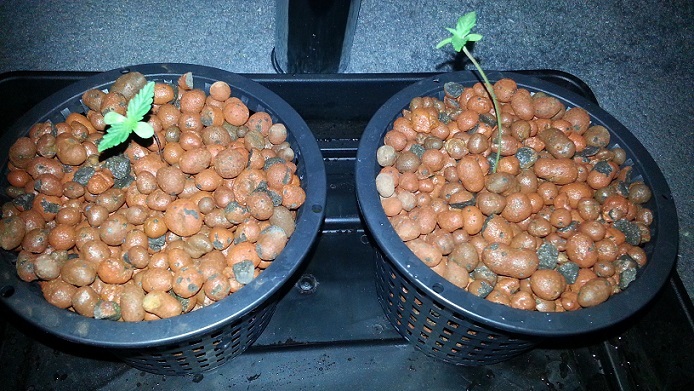 I love hydro and while some may encourage a new grower to start with soil, I say if you want to grow hydro, then do it. You just have to be knowledgeable about the plant's needs and keep on top of things. 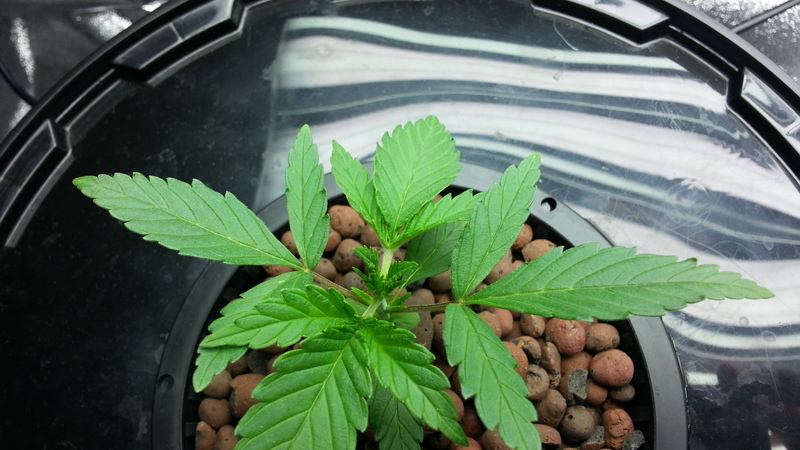 Looking forward to following your grow and seeing your scrog set-up. Thanks "The Help Goddess" for the info i feel alittle cheated now about the 400w hsp as when at the store I was told that a 4x4 space would be fine and I didnt need a stronger light so i wish i had got the 600w light(I should have also looked into it more). I agree i need to know more on DWC and its something im currently watching videos on. The hardest thing I find is the ppm working out how much I need as you check the products website and they tell you 40ml for a 5ltr bucket for the first week of the plants life for example which from what i found when reading peoples logs would be crazy high for the first week of a plant and ive yet to find anything that tell me how much ppm i need for my sensi grow and as a first time grower I think thats where ill be making my biggest mistakes. I did look into other grow mediums like coco/soil etc but i felt that bubblers looked like something I would like to use and I liked the fact that i get to make something so i get to learn a new skill and save abit of cash. I know 5oz is a big dream but I know if i set that as my goal if i fall short I still have something to aim for at the second grow and even if i get like 1oz a plant it will be 100% nicer than anything I get locally as my locally grown stuff is not even flushed or cured and this way im not putting money into the wrong hands. You are in good hands here Tangerinedream. I started too small with a 400 and quickly added a 600 and never looked back. Greenest of mojo to you. Tangerine Dream, I use 2 - 430watt Son Agro bulbs from veg right through flower with good results. 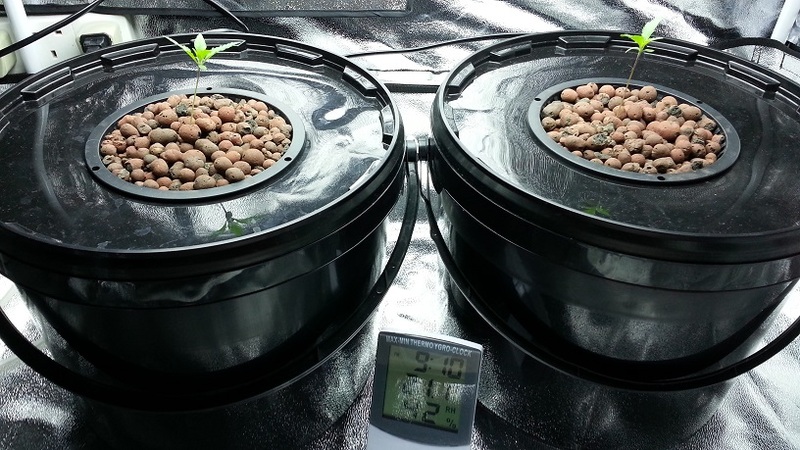 Unfortunately I have found that a large number of people who work in hydro/grow stores really don't know much about growing--they are just salespeople. Sorry you got bad info. You are going to have to experiment with your nutes as the starting ppm of your water influences the final tally. I would start with a fraction of what they say to add and then check the ppms. Write this down somewhere. 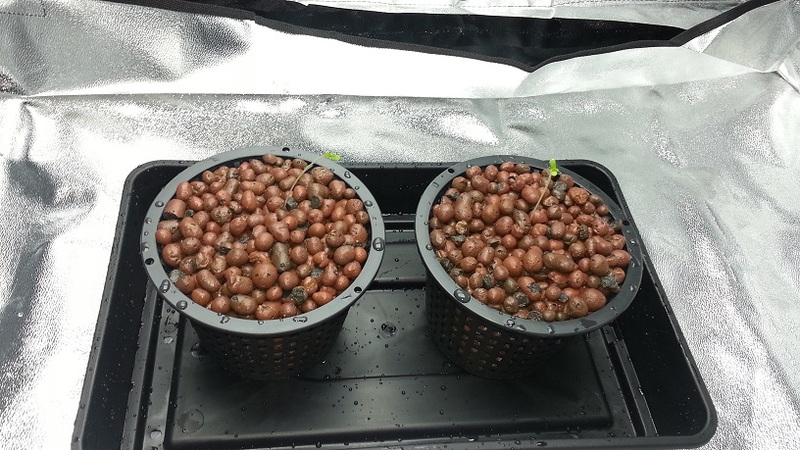 You are going to want to start your plants out with a ppm somewhere around 200-250 when they are 2-3 weeks old. Since most of the time pH tends to drift up, I start my solution at about 5.4 or so. By the end of the week, it is at about 6.0. I change the buckets out every 7-10 days (depending on the age of the plant and what is going on in my life). I think that you will be a lot happier with a 600W light. If you run across a good deal on a 1000W dimmable, that would be an option too. We all usually find that we need to (okay not NEED to, but want to) expand out spaces or that we want to up our lumens. Running 600W would also make your goal of 5 oz per plant a whole lot easier--more lumens results in more grams, as long as your grow stays dialed in where it should be. this is my update from today. 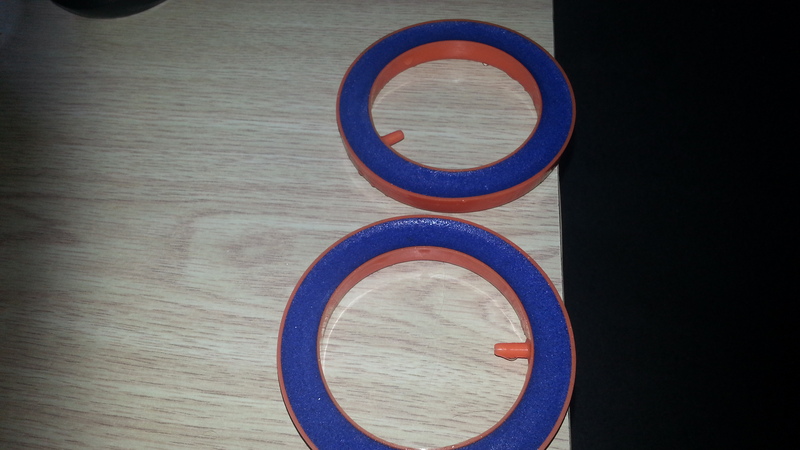 I went to the shop to purchase some water rings as my other water balls got broke a few days back one snapped at the top and the other had a crack. Im also not happy with the colour of these roots as they started white and now are alittle brownish. Could this be root rot I had a power cut that lasted almost 3 hours? 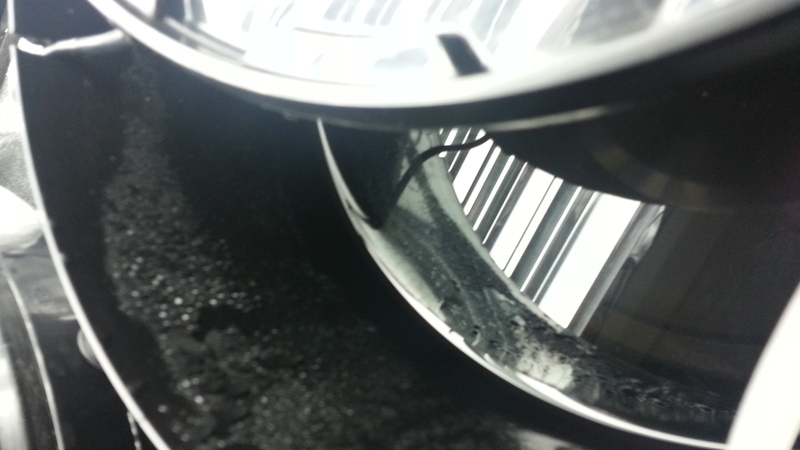 im also not liking this condensation in the buckets is this normal? Im thinking of changing the water again today and setting the ph to 5.4 and the ppm at 450 the water from the tap is at around 190 so i would add untill the water reeds 450 any ideas on the issues above? Personally i think a 400w HPS will work for two plants But its not gonna cover that whole tent space. I have a 55 inch square tent and use a 1000w. I would plan on a 2 1/2 x 3 foot screen if your sticking with the 400. Upgrade to a 1000w and six plants for the next grow. with that 24 ounce crops with a scrog are within easy reach once you learn a bit. ur plant looks just like mine, same color and everything.also my first bubble bucket grow also, i use a 6500k 400 watt MH bulb for veg. love how the plant looks. best of luck to ya! What do you mean by condensation on the bucket? The entire inside of the bucket should have little water droplets from the bursting of the air bubbles created by the air stones. Your bucket should look like it is boiling. 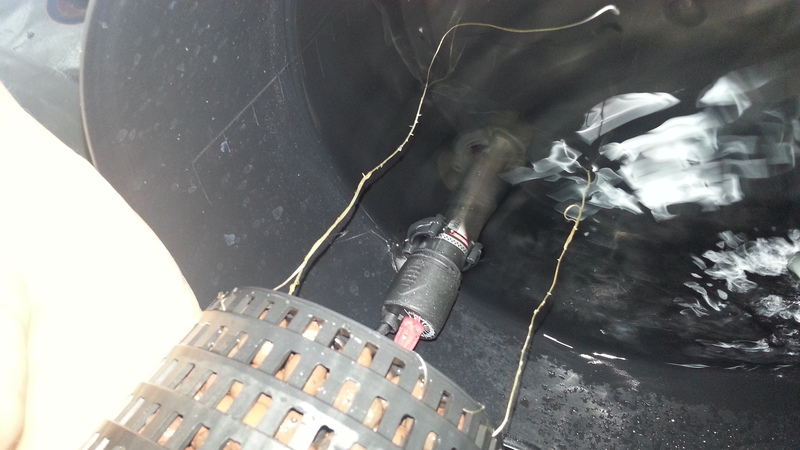 Do you have the water level in the bucket up to the bottom of the pot? I am a little concerned that the root growth is not what it should be. thanks for the reply. I do have the water level to the bottom of the pot and by condensation i was just refering to the way it looked that was all (thats why i attached a pic of the size of the bucket) but from the description you have given it sounds ok. ye the roots are a concern for me aswell from grows that ive seen they have triple what i have at this age. im thinking of getting some Hygrozyme or using some food grade 35% Hydrogen Peroxide in the water i think i may have done something to them at birth that may have affected the root development. remember to, you are growing from seed. 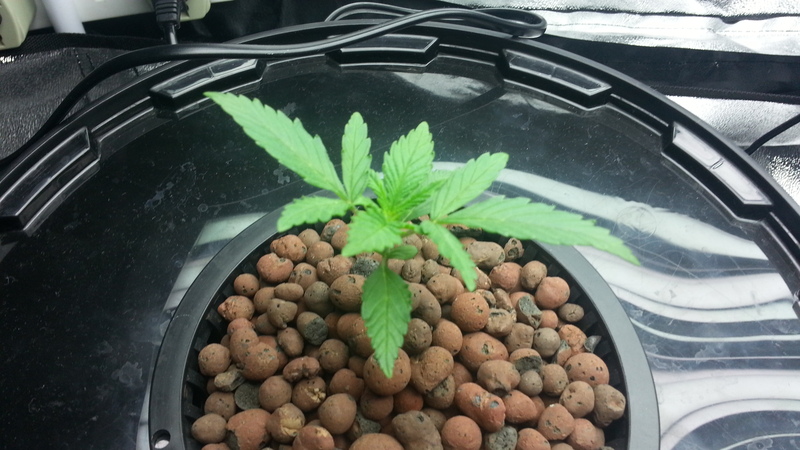 once you start from clone your going to have a bigger plant at that many weeks. 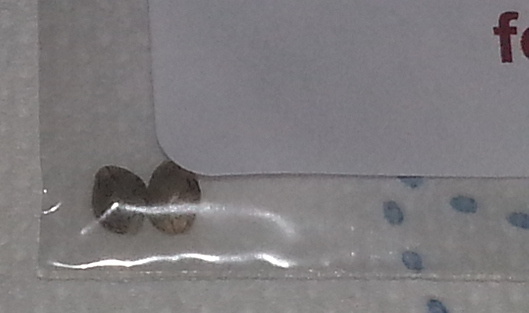 I am now starting from clones and can tell a big difference in how big they are compared to starting fro seed. Green Mojo!! hi monoxide thx for dropping by. 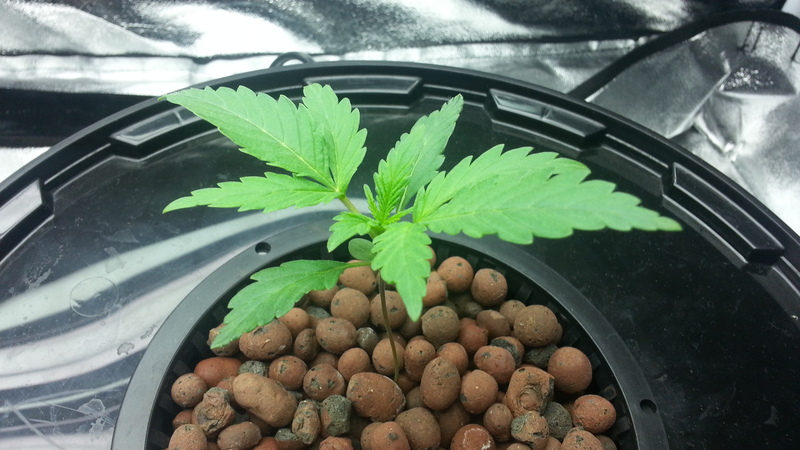 Ye hopefully be making a few clones in about 5 weeks time. ill be taking my clones when i do my lollipopping. was going to wait till tomorrow but it appears my Hydrogen Peroxide wont come till monday so i did a res top up and balanced the ph to 5.9 and will look at changing the res on monday when it comes. 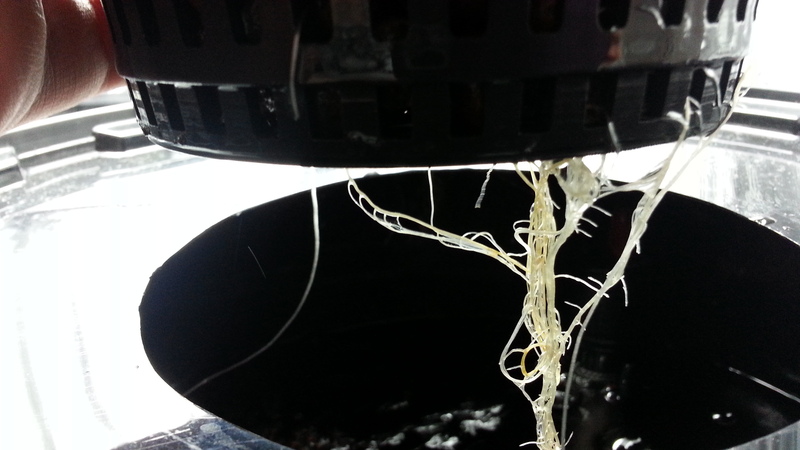 untill then here is some updated pics and a better root pic. Looking better. 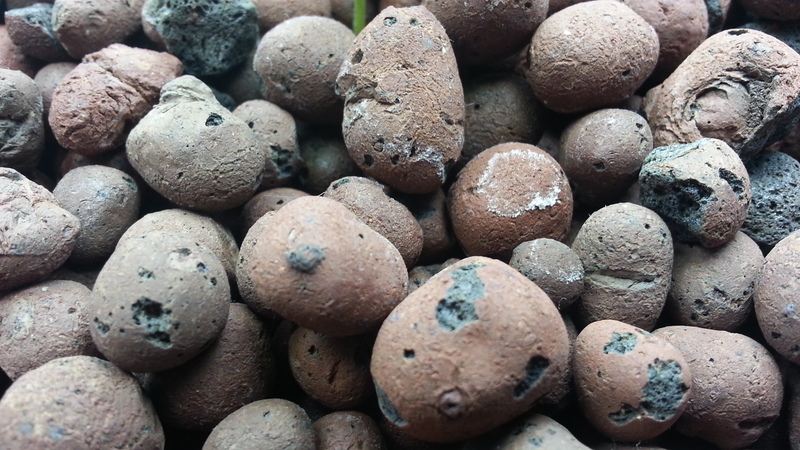 In the pic with the roots ,is your airstone running? where did U get those air rings at ? ?